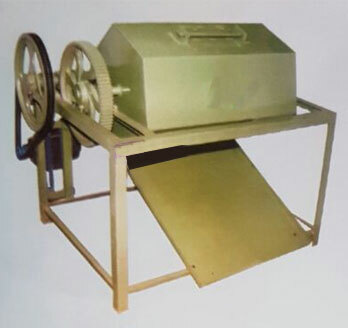 The Polishing Drum is made of steel fabricated angles and thick sheets. It revolves at 40 to 45 R.P.M. and having Capacity of 200 kg. per hour. It requires 2 H.P. Electric motor.